The first time I tried Wild Turkey 101 12-year, I was completely mesmerized. It was a 1992 “Cheesy Gold Foil” and within milliseconds of nosing I was in love. My journey into dusty Turkey was only beginning. I soon realized how difficult finding such incredible expressions could be – well, difficult if you have a limited bourbon budget (as most of us do). Thankfully, I had a kind and knowledgeable bourbon friend to guide me. I sought out a more accessible alternative – his answer arriving like a dream come true … 2000’s export Wild Turkey 101 12-year. From roughly 1999 to 2012, Wild Turkey periodically released 12-year 101 exclusively to foreign markets, primarily Asia. After the 750 ml “Split Label,” there were three distinct label designs issued as 700 ml bottles within this time period, all covered briefly in a post last September. Regardless of label variety, the quality of these bourbons cannot be overstated. I wouldn’t necessarily call them equivalent, but I’ve only had one export 101/12 that I found slightly disappointing. It was a sample from the early 2000’s, but based on unknown factors like environment and storage conditions, it’s hard to say if what I tasted was true to what was originally bottled. It’s always a good idea to consider these elements when seeking out vintage whiskeys. Low fill levels, faded/stained labels, and damaged seals are all potential red flags. I’m not claiming all vintage bottles should be factory-new or pristine to warrant a purchase, but don’t let the allure of a “bargain” cloud your judgement either. While the overall quantity of dusty bottles is finite and diminishing daily, there’s still plenty of export Wild Turkey 101 12-year releases to be found. If a particular bottle doesn’t seem right, move on. You can always find another (at least for now). Thanks to the generosity of a bourbon friend across the pond, I have a 2007 Wild Turkey 101 12-year to enjoy. Cheers Lee! I’ve sipped a fair number of 12-year Turkeys, but never an ‘07 (at least that I can recall). I’m curious how this one measures up to my most recent 101/12, a 2012 “transitional label.” Will the ‘07 have a robust, classic Wild Turkey backbone – or – will it lean more dusty herbal/floral? At this point it’s anyone’s guess. Let’s have a pour and see what this foreign bird has to offer. Overall: Hot damn do I love Wild Turkey 101 12-year! While this 2007 is no Cheesy Gold Foil, it’s close enough to a late-90’s Split Label that I’d argue these 700 ml exports are still a very reasonable deal (even at today’s rising prices). Every time I sip 101/12 it gets me thinking … Why in the hell does Wild Turkey refuse to re-introduce 101 12-year as a semi-regular release? Why? l’d honestly like to know. Let’s take a look at some past excuses, shall we? Wild Turkey’s low entry proof caused many barrels to proof below 101 as they aged. The entry proof has increased – twice. It’s 2019. I think we’re good now. Mature, age-stated bourbons only sell well in Asia. Since Wild Turkey 101 12-year was discontinued domestically, the number of special limited edition releases has increased. True, but with those limited editions came price increases, allocations, and frankly, an LE or two (or three) that aren’t necessarily “better” than good ol’ 101/12. There’s currently a 13-year Wild Turkey KSBW expression produced for Asian markets. First off, it’s 91 proof (yawn). Second, by the time an American goes through the ridiculous hassle to obtain a bottle, he/she is likely upside down on their investment. And speaking of worth, it’s chill-filtered and rather muted in flavor in comparison to Russell’s Reserve Single Barrel (even with the considerable difference in maturity). You know what? I think we can do better, Wild Turkey. In fact, I know we can do better. I’m not pointing fingers. I’m not trying to give anyone a hard time. I’m just saying … look at the bourbon secondary market. What’s selling? 8-year and 12-year Wild Turkey 101 … for substantial premiums. 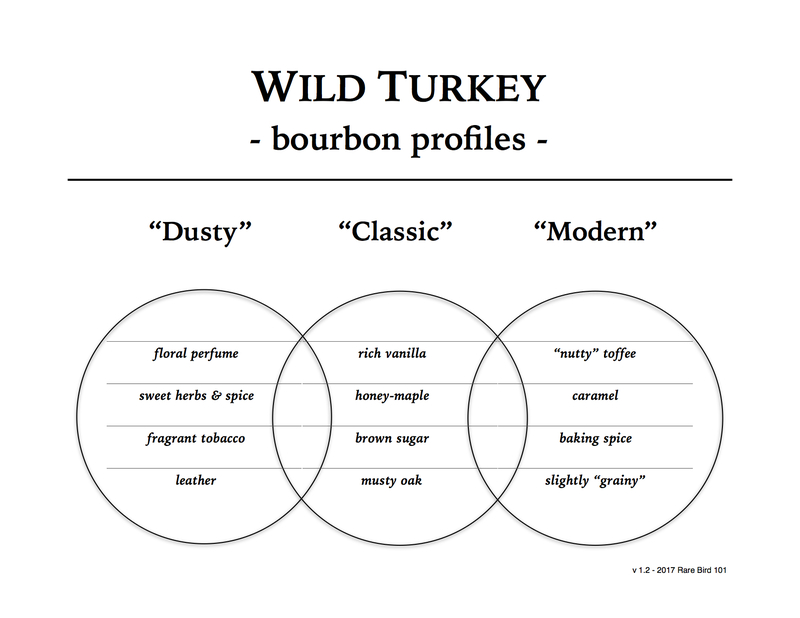 I’m not suggesting that you have to change Wild Turkey 101 from what it is today. No. Non-age-stated Wild Turkey 101 is fine (amazing for the price, really). All I’m saying is that an annual release of Wild Turkey 101 12-year would be a wise move. Hell, I’d argue that you wouldn’t be able to keep it on a shelf. Look, I know I speak for a somewhat small (yet significantly growing) bourbon enthusiast population. We’re not nearly as large as the demographic buying handles of 101 (even though we frequently do so ourselves) – but – we’d happily buy 101 12-year at a premium by the case. We would. Seriously … WE WOULD. They say, “It’ll find you.” Unfortunately, when it comes to 12-year Wild Turkey you won’t have as easy of a time finding it (sigh). Excellent write up once again. I have unfortunately not had the opportunity to try any aged stated WT 101’s. After reading this I was thinking, why not start up some kind of petition. We have a strong community with technology on our side. You definitely have connections with other bourbon communities out there (Bourbon Pursuit, Breaking Bourbon, etc.). Come up with some kind of link that people can electronically sign saying they want to see aged stated 101 back, at least for annual releases as you mentioned. We could get tens of thousands of “signatures” I’m sure. The bourbon community is strong and this is something I think plenty of us could get behind. Taking 2 minutes to click a link and sign your name would be easy, especially having the chance to influence a company to push for an annual age stated 101. Worst case scenario they don’t do it but hey, now they have been made aware once again but this time they have a community collectively coming together asking for something they can actually provide. If enough voices sound out together it will definitely weigh on the minds at WT, and might help push this idea over the fence to actually happening. We will never know unless we try. I say it’s worth putting together and giving it a shot, especially with the connections some of us have. Happy Turkey Tuesday! First off, thank you for commenting. While a petition isn’t necessarily a bad idea (I attempted one briefly in 2017), once you understand how the system works you realize they’re not nearly as effective as one would think. A petition is like a single explosion. It hits hard, fast, suddenly, yet briefly. In order to enact change in the industry (be it with a single expression or entire brand) you need many voices speaking consistently with appropriate volume. Slow change. That’s how it is in this industry. Always has been, (probably) always will be. Just like barrels aging in a rickhouse, it takes a lot of time. I adore the massive flavour of Wild Turkey 12. I have tried various vintages, and have never been let down. Perhaps only the peerless Tribute, and American Spirit are a notch above, and of course that’s just my personal opinion. Liquorice, Turkish delight, Apricot, thumping grains. It’s all there on the nose and palate. I still buy 12 Yo Turkey from Japan, though not cheaply. If I could see the 12 Yo as a staple in quality liquor outlets again it would be a triumph of good sense and sanity, and I could die happy. P.S. I found the 13 Yo horrendously dull. Though how do you replace perfection? Very well said, Andrew. 101/12 isn’t cheap now, but it’s still worth it for a once (or twice) a year special purchase. And I agree … the 13-year isn’t all that much better than RR10 from the early 2010’s. I also recently had the chance to taste ’07 12/101 thanks to a generous friend in bourbon (thanks, Rob) and yes, it was fantastic. So close to Split Label as to make it the better QPR proposition, IMO. As much as I would love to see 12/101 reintroduced (Japan-only would be fine by me, ROFL) I don’t think it would be on-par with this stuff. I mean, pseudo split all went into oak at the original 105 entry proof, and any 12-year released now wouldn’t have that going for it. I’m sure it would blow 13-year out of the water, though. I should say 107 entry proof, sorry. Regarding modern 101/12 … Revival was amazing at 101/12. Sure, it was finished. It gets me thinking though … probably would’ve been pretty damn good without the Oloroso character as well. That was listed as “12-15” years old, was it not? As in not now, or not ever? Yikes! The Masters Keep 17 Yo was readily available in Australia, as was the 1894, and Decades. I found the 17 and Decades not too bad at all. Haven’t tried the 1894 yet. After reading your glowing review of Revival, I thought, “I’m in here for sure”. The end result of my search was ” Wild Turkey Revival is a US and Distillery only release. I could of wept, but I’m not giving up. I’ll eventually get one on the secondary maybe. The irony of it is that most Americans don’t appreciate Revival. Those red boxes collect dust all around my area. A 12-year, 90-proof Van Winkle? $500 and sold in minutes. Revival … just sits there at $150. Revival has turned up in Japan. I’m kind of on the fence. Wish I could try it first but I haven’t found it at a bar yet. I can see a trip to the States one day for sure. Great arguments and I totally agree. Personally, I’m not a huge fan of limited special releases (the concept not the product) and much would prefer older (12 & 13 & maybe 15 year old) issues on a regular schedule. It’s hard to believe (tho I could be way off base and wrong) that the distillery hasn’t enough barrels for those products. They have so many barrels! First time posting, but long time reader and love the blog and your reviews. I have been wondering for awhile why Wild Turkey doesn’t release an aged stated 101 domestically. Great timing to see your post about this 12 year. I get how aged stocks are depleting and all, but Buffalo Trace can still release Eagle Rare with a 10 year age statement. Up until a couple years ago HH was releasing EC at 12 years and they still have it on the BP. It’s not like WT is some small craft distillery. Why can’t they set aside some 101 and at least release an 8 or 10 year? If sustained noise is required to get Campari to pull their head out, then why not do a petition every year? Maybe we just need to track McConaughey down, and tell him to advocate for it! I think if they would do an occassional release it would also be a good middle ground pricing wise between 101 and KS/RB/RRSiB, which all are in the $40+ range. WT needs something in the $30 range (yeah I know, RR10) but an aged stated 101 in the $30 range would be huge. And please, when able, review the 2018 batches of 101! I know you have it on your list to do, but bring it to the front of the line! These 101s are a step above the last couple years. As has been pointed out, there is older stocks in them, and it shows. The RB is the same way. I believe it was Bruce or Eddie Russell who pointed to the older stocks being put in a few of the lines for 2018 (and hopefully ’19!). Thank you for commenting (a great one too)! I apologize for the delay. I trust you saw my post today and I hope it helped. As for 12-year Turkey, I’d love to see it. I could care less for having 8-year 101, as the current export 101/8 isn’t that much different than domestic NAS 101. But if we had 12-year … heaven! Thanks again for posting and welcome!